Is there anything better than an easy, comfortable look that's still chic? As most of you know, I wear white constantly, but sometimes when I want to dress it up a bit, I simply trade the jeans for all white. Also, adding a hat makes it even better! 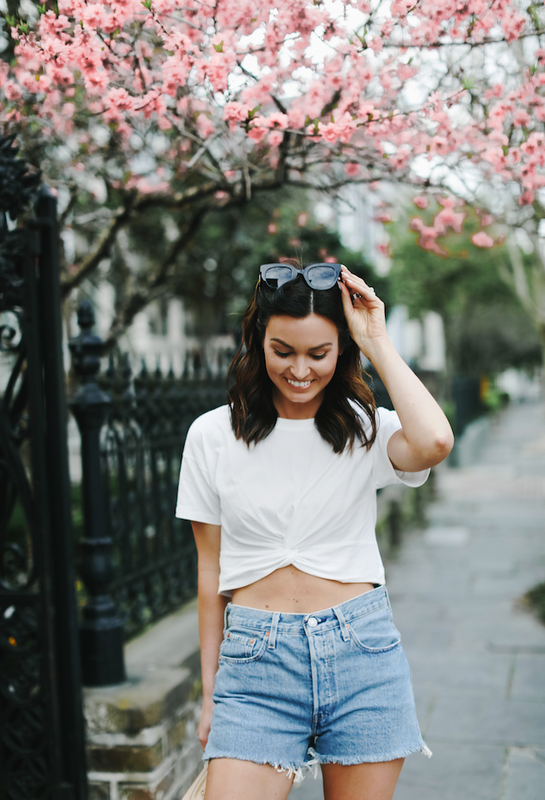 This look is great for Spring days, but when Summer temps hit, I'll be throwing on this button-down with cut-offs or over my swimsuit and trading this hat for a straw version! I hope you all had a beautiful Easter weekend! I was present on instagram, but I apologize for being a bit MIA on here last week! We had company in town, hosted all weekend, and plans every single night. I felt like I blinked and the week was over! However, I'm excited for this week to be a little slower (you know you're an adult when no plans is the goal) and we're headed somewhere fun for the weekend! I don't know about where you guys are, but our weather has been all over the place lately! After it rained for about 60 days straight (no, really though), the temps have raised and the sun is finally out! Honestly, I prefer a happy medium - I love for it to be warm + sunny all day and then have a little Spring, late afternoon shower or storm. That's when all of our plants seem to do the best - sunny days and afternoon rain. Whew sorry, I got off on a little tangent there for a second! Get me talking about plants or chickens and it's all down hill from there. Anyway - this outfit is perfect for transitioning into warmer days! I've always loved a good cut-offs + boots combination before it gets too hot. Also, this crop top could literally be thrown on with anything! A skirt, jeans, cut-offs - any of it AND it won't break the bank. See how I styled it last, HERE. Thanks so much for stopping by and have a beautiful day, friends! X.
I always love a good Shopbop SALE and I've rounded up all of my favorites for you! Most of these pieces I own, others I ordered today! 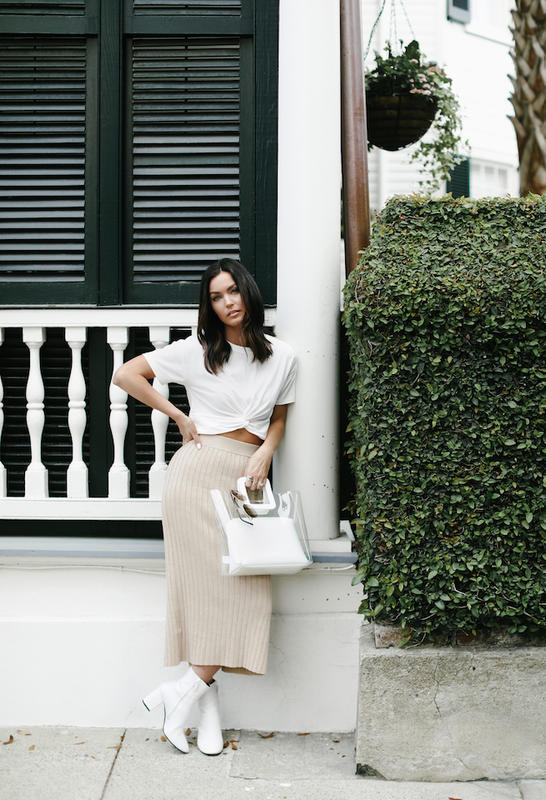 So many neutral, staple pieces that are perfectly versatile for Spring + Summer. Now through Friday, take 20% off orders under $500 and 25% off orders over $500 with code EVENT19! Stock up while you can!! Thanks so much for stopping by, friends! X. 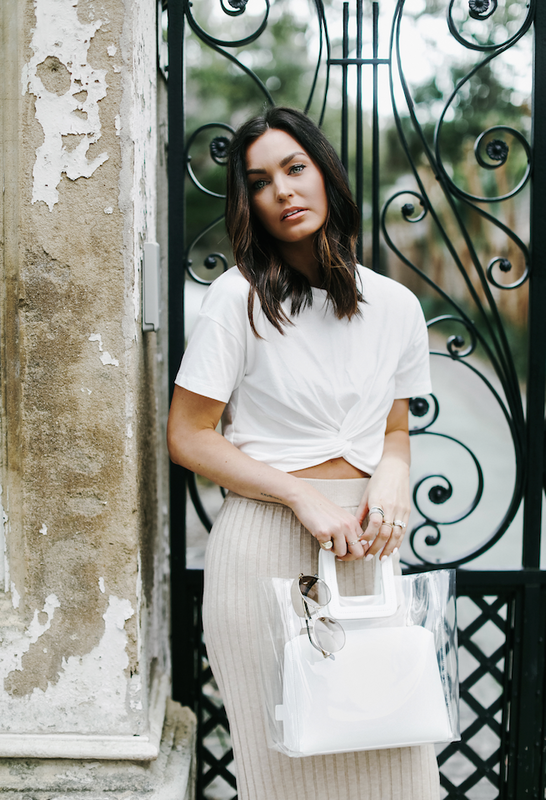 No matter what, a good white tee is always a closet staple + basic you'll wear forever. Seriously though, how many things in your closet can you truly say that about? The goal - a lot. Realistically, probably not that much. 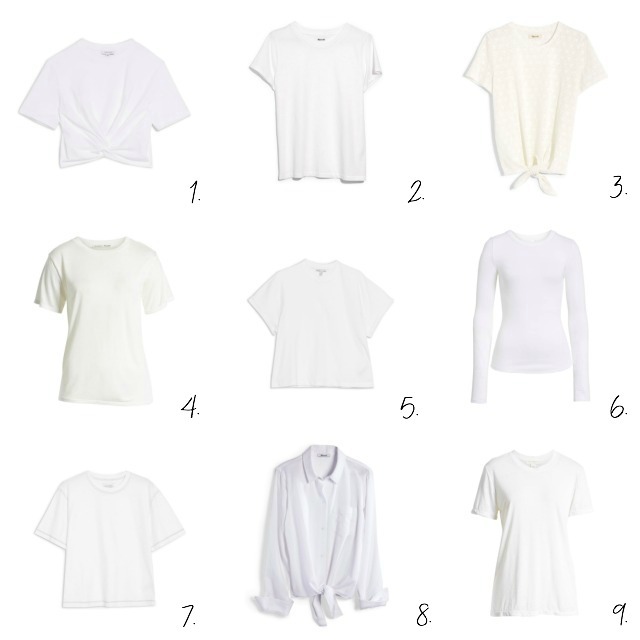 The best part is a good white tee doesn't have to cost a fortune. In fact, it's something I wear so often (cough, cough - every day) that I don't want it to be an investment. 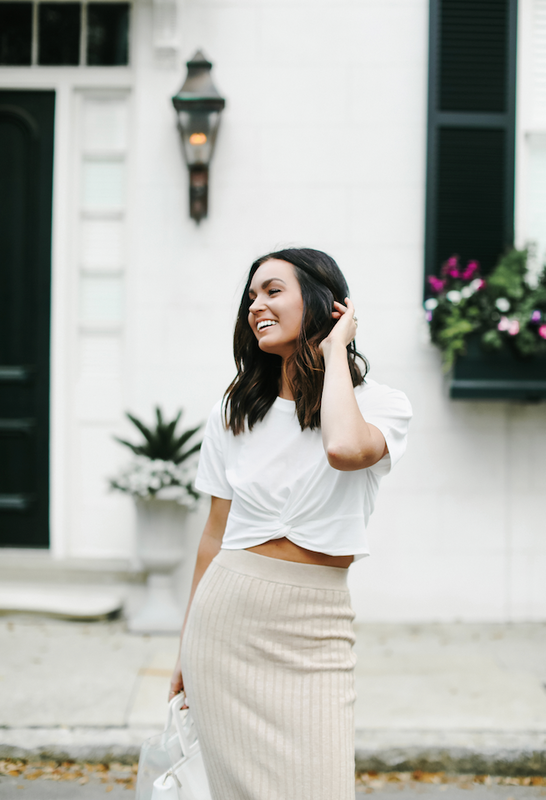 Whatever your go-to style is - a classic, short sleeve, a boxy fit, crop top, button-down, long and tucked in, or fun details like eyelet or a tie front - you can easily switch up your daily look simply by changing your top. Pair any + all of these with a chic pair of Levi jeans or cut-offs and around here, we like to call that THE UNIFORM. I hope you're all having a good week so far! I woke up super early yesterday and got to fly to Indiana with one of my best friends to finally hear the heartbeat of their little girl that's arriving late November of this year. It was such a beautiful thing to be a part of and we could not be happier for them. Just one of those sweet reminders that everything happens in it's own, perfect timing and the sweetest way to start my week. Aside from that, I have so much going on the next few days around here and a couple of which I cannot wait to share with you! Big things happening over here and we are so excited! Last, but definitely not least, and mostly because I feel like I haven't told you guys lately, but I'm so unbelievably thankful for you. The support you give me (and us) on a daily basis never ceases to amaze me and I always want my little space of the internet to be about that. Uplifting and supporting each other, talking and engaging about more than material things, and a place you can leave inspired in some way. I love, love, love you and I can't wait to continue to cultivate this family we've found in all of you and pour into what's to come together. We love you! I hope you all had a great week! 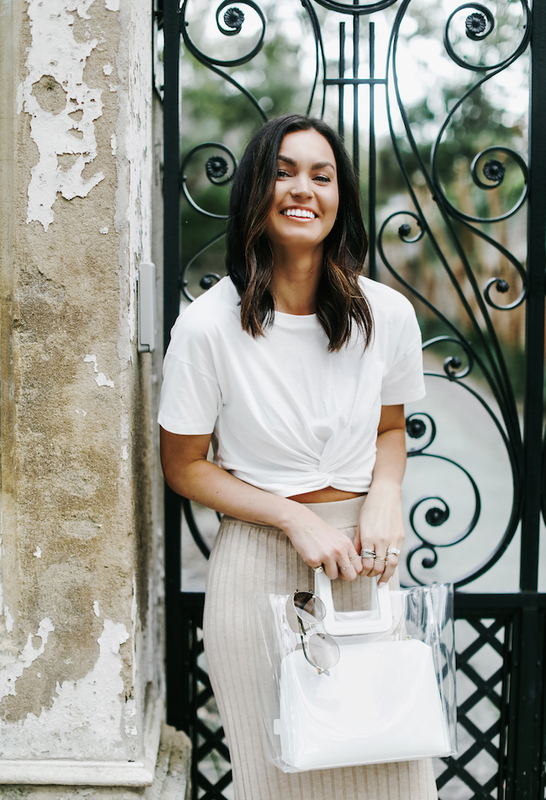 I'm so excited to be partnering with eBay today to share an easy + quick guide on how to shop for authentic designer handbags on eBay. If you're anything like me, sometimes purchasing pre-owned luxury pieces can be a bit intimidating. Before this experience with eBay, I was nervous to pull the trigger, not knowing exactly what to look for to ensure quality and authenticity. The good news - eBay has already done all of the work for us! 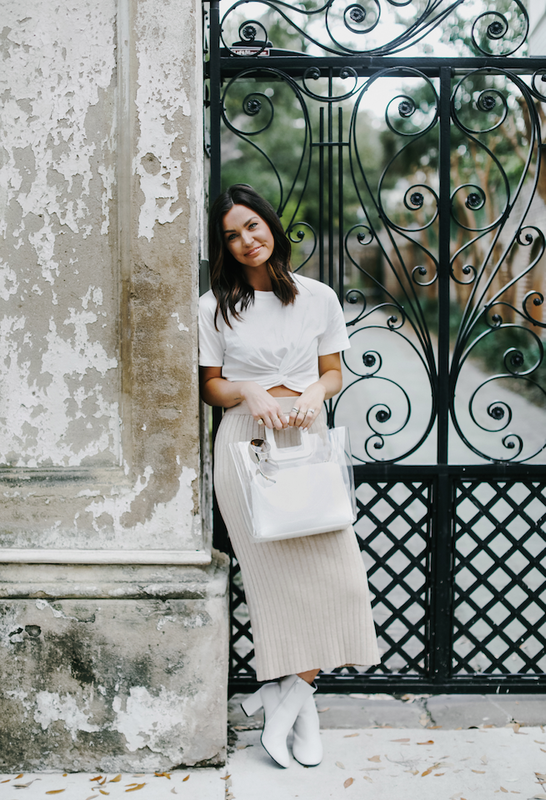 eBay Authenticate is a program designed to make you feel comfortable + confident when buying luxury items through their website - particularly designer handbags. eBay has sourced their very own industry experts, who carefully verify everything from the seller to the authenticity of the item, so you can shop with complete confidence that you're getting the real deal. Whether it's a handbag that you've had your eye on for months and can't justify paying retail for it brand new or one that you just couldn't get your hands on before it was sold out, shopping with eBay is so easy. 1. / Simply head over to the eBay Authenticated Luxury Handbag shop. 2. / Sort by designer and/or price. 3./ Look for the "verified authentic"blue check mark. 4./ Order the handbag of you've been waiting on! Last time J and I were in DC, I went to Dior and had my eye on this particular handbag in either black or blush. I knew I couldn't go wrong either way, but ultimately decided to hold off. After returning home and not being able to get the bag off my mind for the last couple of months, I went to eBay and searched under the Authenticated Luxury Handbag section. Much to my surprise, the Dior black handbag was right in front of me, in great condition, and a fraction of the cost! I placed my order, had the bag on my doorstep within a few days, and received the authenticity cards from eBay letting me know the bag was double checked and verified authentic by an expert in the industry. I couldn't be happier about my decision - this beaut will fit right in! Lastly, for future reference - you can simply type in eBay.com/authenticatedhandbags into your browser for easy shopping! Thank you to eBay for partnering on this post - all opinions are my own! About 3 months ago, J and I decided it was time to give our living room a little refresh. Not only did we want to update our furniture, we wanted to lighten up the entire space and add a few more seats, as well. 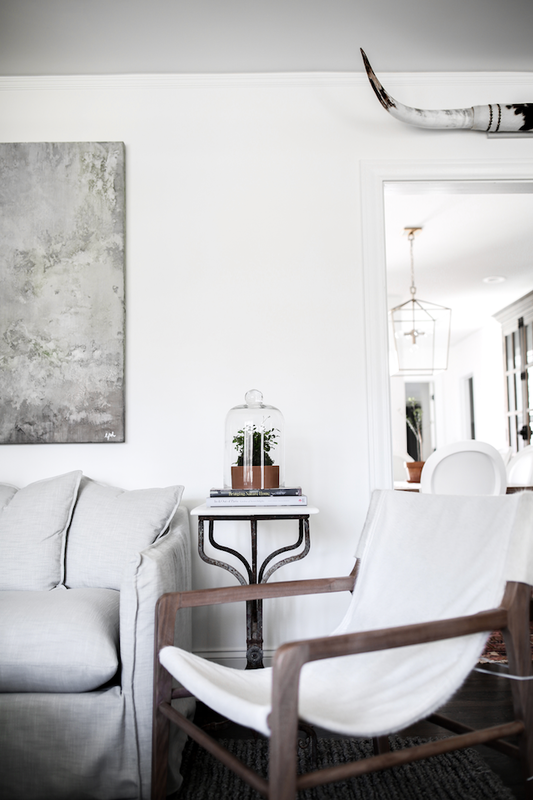 Our living room is the first thing you see when you walk in the front door, so a clean, minimal vibe to set the tone for the rest of the house is exactly what we were after. After a few months of searching for the perfect thing, I finally found Maiden Home. I had never heard of the brand before, but the moment I was taken to the home page, it just spoke to my soul. (Literally, the couch on the home page is the one we chose!) 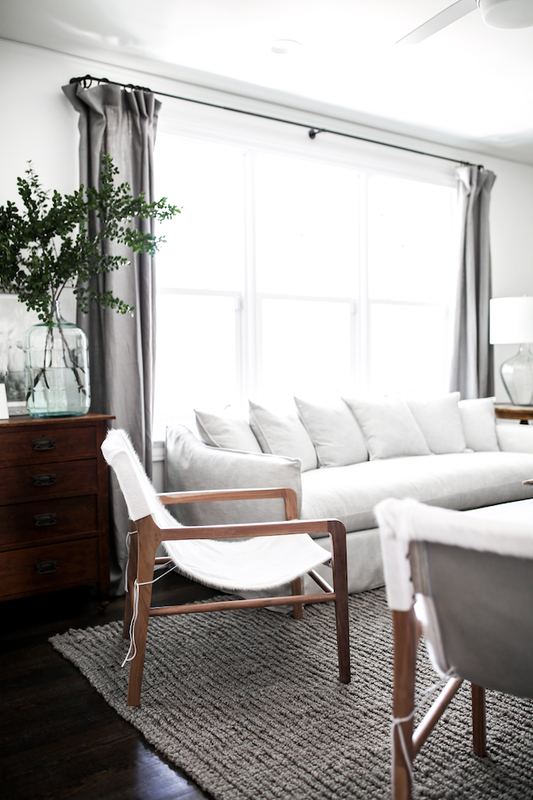 The clean lines, bright + airy space, yet cozy layers + fabrics, were all exactly what we were looking for. The more I learned about the brand, their beliefs and their process, the more in love I became. 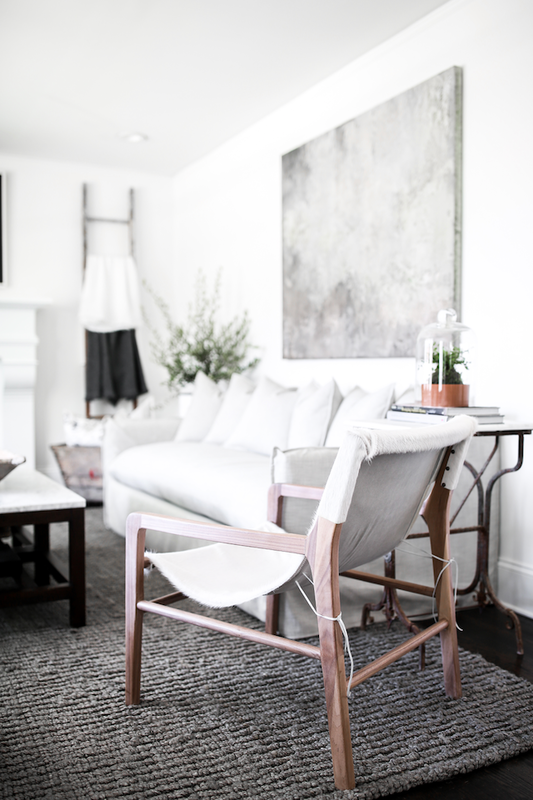 I was immediately drawn to the Dune Sofa because I love the slipcovered look and scatterback pillows. It's such a perfect fit for our neutral, french farmhouse style and I literally couldn't get it off my mind for days. 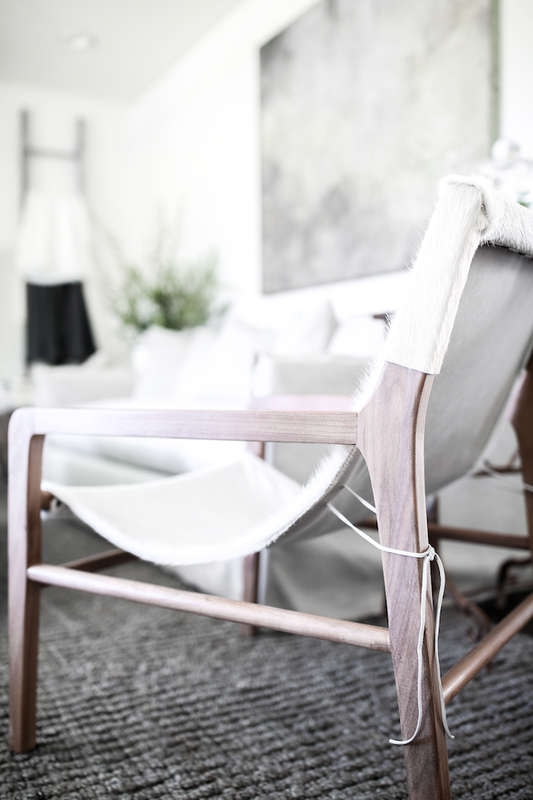 Shortly after, I laid my eyes on the Hayes Chair and fully took it as a sign that this brand was a match made in Heaven for our little cottage. The matte walnut wood is beautiful and the cowhide with the tie-back detail gives our space the chic, French-flare we were looking for. After deciding on the two pieces we couldn't live without, I ordered complimentary swatches from their website. Within a couple of days, I had all 4 swatches of the fabric colors the Dune Sofa is available in, as well as an example of the different wood colors/tones. We were pretty sure khaki was the way to go for our space, but having the swatches at our fingertips gave us the assurance we needed to move forward. Before we even placed our order, I had an email in my inbox thanking me for my interest and asking how the brand could be of service. Any questions we had or decisions we were on the fence about - answered by a real person, without even having to ask for it. I am all about customer service and that non-pushy, simply helpful email felt like such a game changer. After placing our order, the countdown began! 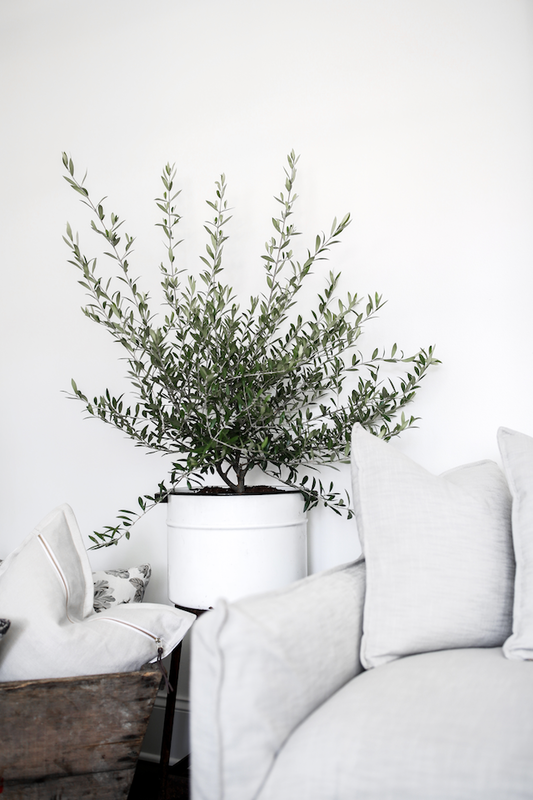 All of Maiden Home's furniture is crafted within 6 weeks and delivered free of charge. They send you updates throughout the entire process each time a step is completed, too! I loved being 'in the know' on what was happening on the back end - the communication is on point. The brand also has a lifetime guarantee on every single piece and 30-day returns. If you're not in love, they'll come pick it up, simple as that. 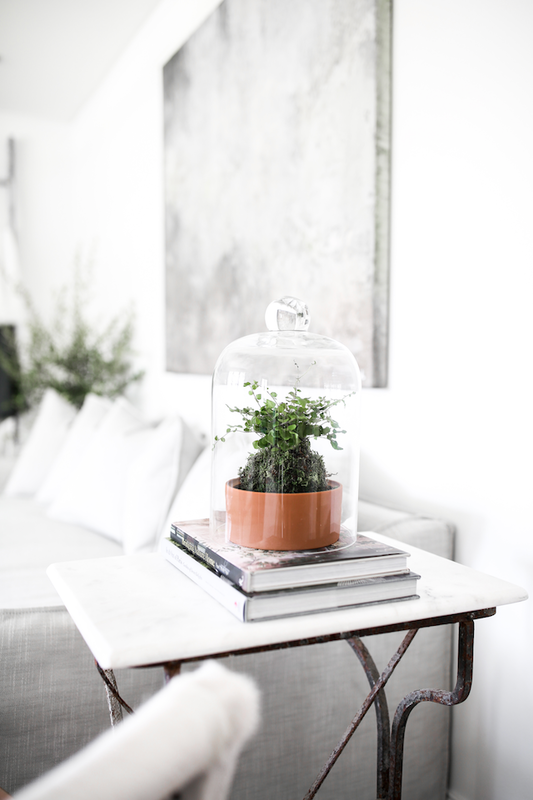 Which, let's be honest, you will be - so that's not a concern, but between the return policy and lifetime guarantee, it might give you a little extra confidence when purchasing investment pieces for your home. Finding + purchasing furniture for your home is such an intimate thing. It's what you walk by each morning when you wake up, gather around when hosting friends + family, relax on at the end of a long day, and live with for years to come. Especially at this stage of life, we're investing in pieces we know we'll love forever and truly want designer quality at an exceptional value - with a brand we believe in. From the collections and fabrics to the customer service and the process, Maiden Home was flawless to work with. We're so in love with our new space! Be sure to take a look at all of the beautiful collections on Maiden Home and order a few swatches for yourself! Also, stay tuned - we may or may not have another project in the works and I can't wait to share it with you! 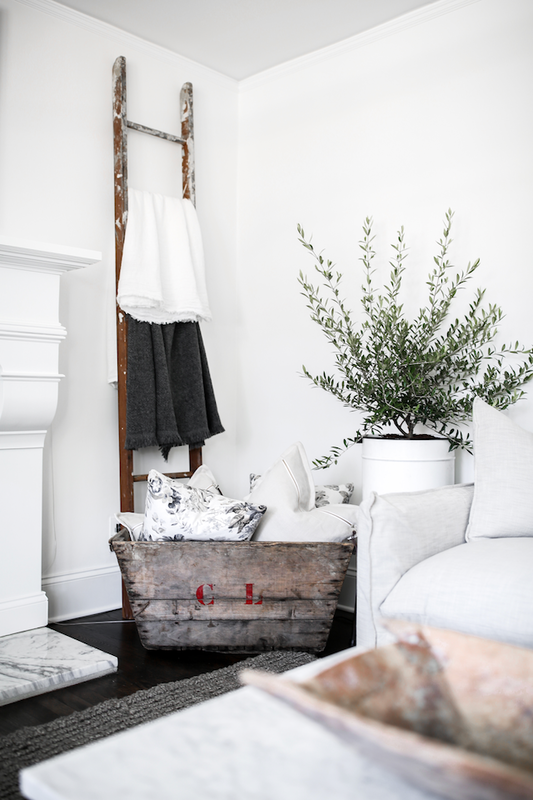 This post was in collaboration with Maiden Home for The Lovely Cottage, but all opinions are my own! Ok, so maybe I wouldn't choose to live in a crop top because ya girl here likes to order pizza too often, however, this outfit is SO good! 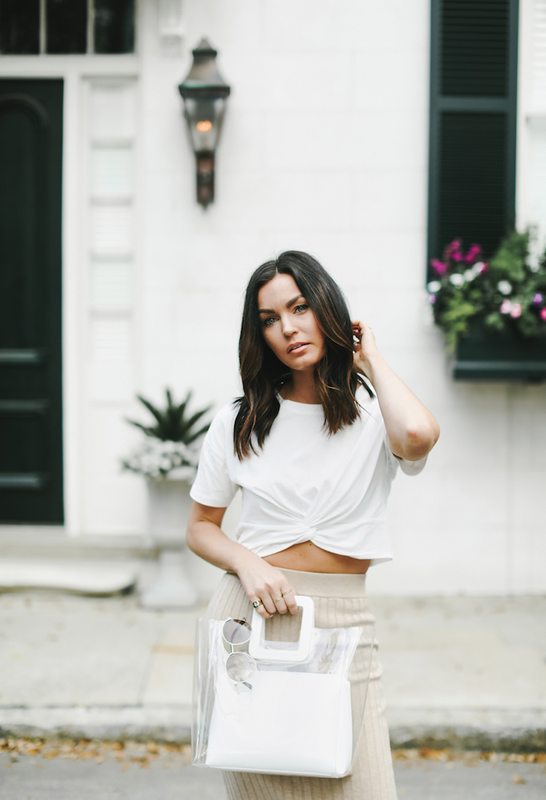 I love when all of my favorite neutrals come together to create a relaxed, yet chic look. I threw this on for dinner in Charleston with some friends last week and it was perfect for an easy night out. I jut purchased in both of the other colors because for $50 it's too good not to! And I'll most likely throw them both on with a white tee, #groundbreaking so get ready for this look to be on major repeat. I hope you all had a great weekend! We spent all day on Saturday in the yard and all day Sunday surrounded by family + friends. Our motto - work hard, play hard. Have a great day, babes - thanks so much for stopping by! X.